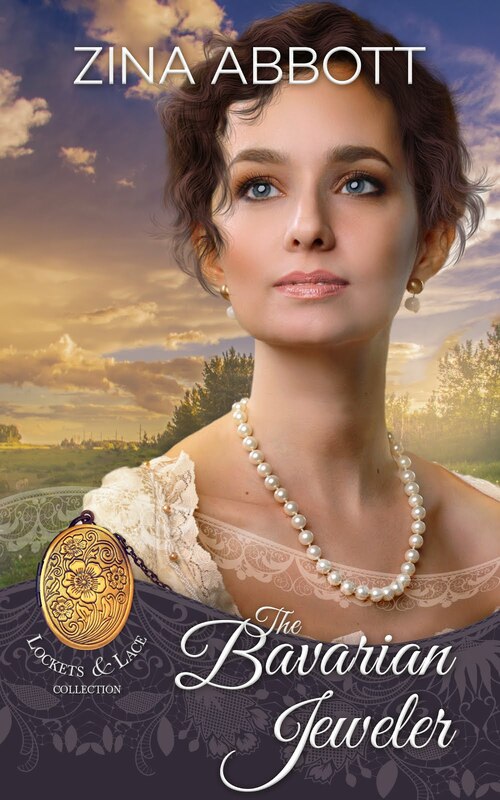 I'm thrilled to share that today is the Release Day for Monica's Mystery! 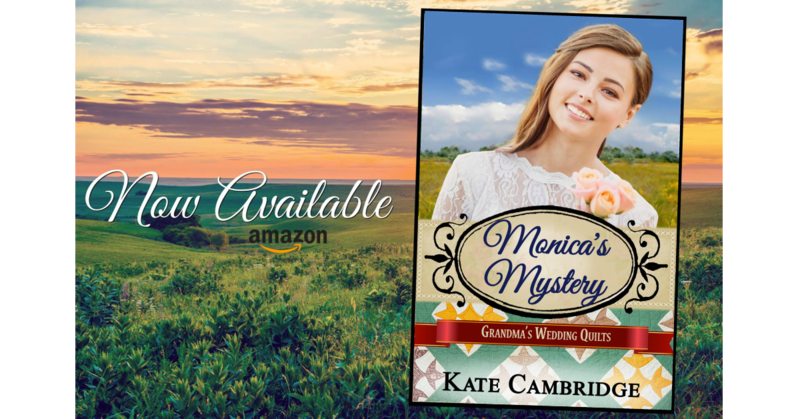 Collaborating with the authors in the Grandma's Wedding Quilts series has been a wonderful experience, and I wouldn't trade the opportunity to get to know them, and you, their readers, for anything. This is just book five in the series, so we have several more days of amazing releases for you to enjoy. Just for today, you can get MONICA'S MYSTERY for just $0.99 before it increases to $2.99 tomorrow morning. Click the link above to get your copy at the lowest possible price. This book was inspired by my real-life niece, Monica. She's an incredible young woman with a fascinating career ahead of her, and in many ways, the Monica in this book resembles her. They are both independent, strong, intelligent, beautiful women with good hearts-- and a lot of determination! In this story, Monica leaves her family in order to find the freedom to pursue her interests as a detective and amateur sleuth; a freedom that is not encouraged at home. She encounters many, many obstacles along the way, but she never gives up regardless of what life -- or her choices -- puts in front of her. She picks herself back up, refuses to be put in a box, and forges ahead, always. Grandma Mary plays a very important role in Monica's life, and the quilts she makes seem to bring a love that transcends time and generations to those who own them, long after they are sewn. Similar to this series, my own Grandmother crocheted blankets for each of her children, grandchildren, and great-grandchildren, so the premise of this series rang true to me. It has been incredibly fun and heartwarming to have the opportunity to write both The Prequel and Monica's Mystery. Grandma's love and strength are interwoven with the quilts, and she leaves a legacy of love in each of her quilts, and in each of the books in this series. Miles disappeared beneath her and trees raced by as Monica Benton gazed with anticipation through the smudged pane of glass. It would be hours still before she reached her destination, yet the weight of her long journey did nothing to dampen the excitement that bubbled inside. Her lip would be bloody if this kept up, simply from the number of times she bit it to hold back the smile threatening to break loose. She was free—for the first time in her life she was free! The moment Monica embarked on this trip, she knew there would be an entirely new life waiting for her on the other side. It didn't matter that she'd told her family she’d only be going for a brief visit. It didn't matter that Jeb still waited for her back in the small town that they both grew up in. It didn’t matter that she hadn’t said goodbye to her friends… at least not in this moment. Jeb. Just the thought of him sent a shiver of dread right down to the pit of her stomach. His horrible proposal and the fight with her father that followed… Neither of them had taken kindly to her emphatic “No!,” but what did anyone expect from a proposal like that? He was everything she detested in a man, and stupid to boot. Monica cringed at her thoughts, and she knew God wasn’t pleased. Yet she had to believe that even God would not want her to marry a man who thought women were nothing more than a doorstop, a maid, a cook… and she shuddered to think what else. She closed her eyes tight, trying to block the memory of his proposal, if one could even call it that. He’d burst through the door of her family's home, interrupted her in the middle of her chores, grabbed her arms and swung her around. He removed his hat, clutched it to his heart, looked into her eyes, and spoke the words she always dreaded hearing. Repulsed, she’s blurted “No—!” before she could think to stop it—her mind screaming, No, never! But of course, her father had walked through the door just after Jeb, and her family had gathered round. Her mother had gasped at Monica’s outburst, and Monica re-lived the moment as the train rocked beneath her. She’d felt suspended in air between shock and the desire to laugh herself silly. But the look of displeasure and anger in her father’s eyes had quickly brought her back to earth. She’d swallowed and clenched her fists, fighting to bring herself under control as she took a few steps back. That was when her heart slammed so hard against her chest she thought that her fair skin would surely bruise. You can get your copy of Monica's Mystery here. The Grandma's Wedding Quilts books will be released once per day over the next several days. You'll want to read all the books in the series, so be sure to pre-order them or get them on the day of the release for the lowest possible price. To find them all in one spot, visit and follow the series page on Amazon here. We have some fun parties and contests planned, so please "LIKE" and follow the Grandma's Wedding quilts page and Sweet Americana Book Club Group. We would love to connect with you! It's the best way to be "in the know" for all the future projects we have planned. Thanks for taking the time to hang out with me today, and for being part of the release of Monica's Mystery. Congratulations on the new release, Kate! Monica's Mystery is a fine addition to the series, and I'm honored to have been associated with you and the rest of our Sweet Americana Sweethearts authors in this multi-author project. Wishing you the best with this newest title!